Sugarcane covers 65 million acres of land worldwide, and a dozen countries use at least 25% of their farmland to grow it. The stalky green plant is used to produce much of the sugar we eat, but there’s little awareness of its toll on the environment. Sugarcane production often pollutes freshwater ecosystems with silt and fertilizers washed from farms, as well as plant matter and chemical sludge from mills. In the Great Barrier Reef and Mesoamerican Reef, those contaminants are flowing out to sea and damaging coral ecosystems. Project Catalyst is a partnership between Australian cane farmers, The Coca-Cola Foundation, WWF, the Australian government and local natural resource management groups. The project has helped more than 75 farmers craft precision agriculture plans to reduce agricultural pollution to the Great Barrier Reef. 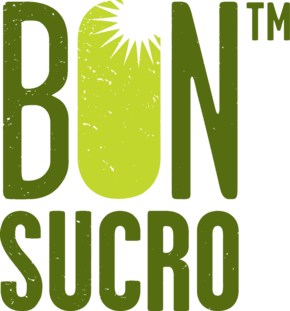 Total acres of sugarcane certified through Bonsucro, a rigorous certification program founded by WWF that addresses both human needs and environmental health. Honduran sugar mill Azunosa recently received certification as the first Bonsucro member in Central America. Forty entities in three countries— Brazil, Australia and Honduras—have been certified. Brazil, the world’s biggest sugarcane producer, exports about 28 million tons of sugar annually. A recent WWF-Brazil study found that the average productivity of the country’s Bonsucro-certified sugarcane plantations was 15% higher than the national average. Gallons of water required to produce a pound of refined cane sugar. That’s almost nine gallons per teaspoon. Sugarcane farming has fueled deforestation in some of the world’s most threatened ecosystems—including Brazil’s Atlantic Forest, which once covered a massive area but has been reduced to just 7% of its original size. Growers will need to cultivate almost 50% more land by 2050 to meet projected global sugarcane demand.